The increasingly demanding working week is taking its toll on people. For residential architects and designers, this means creating spaces for workers to come home to that genuinely promote wellness and social connection. According to Carr’s director of architecture Chris McCue, one of the architects responsible for the design of the mixed-use Melbourne Square development alongside project architects Cox Architecture and landscape architects TCL, designing for wellness and social wellbeing starts at the front door. When residents first enter the 67-storey apartment complex in Southbank, they are greeted with open green space and “a moment of calming down” after a busy day at work. Residents then have access to two dedicated wellness zones – one for physical wellbeing and one for emotional or social wellbeing. Included in what has been dubbed a “wellness campus” is an outdoor zone for personal training, indoor gym, sauna and steam room. There’s also a music performance room, private dining rooms for entertaining, a theatre, demonstrator kitchen and games room. Mr McCue told The Fifth Estate that the OSK Property development was deliberately designed with a landscaped indoor-outdoor podium connecting the two buildings to “force people to interact”. “We are trying to encourage or promote opportunities for people to meet in these spaces,” he said. He said the design team wanted spots for people to meet that weren’t dark corridors and underground carparks. But this is not at the expense of intimacy, with the shared spaces including partially closed off areas of “privacy and respite”. 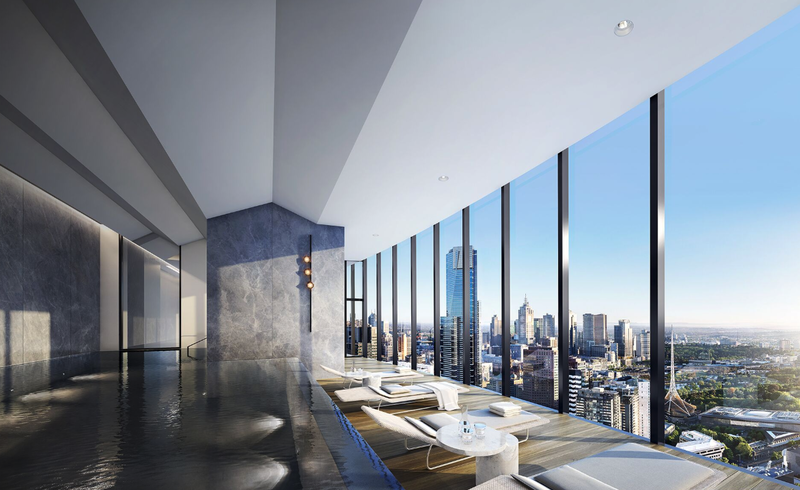 There will be further wellness-oriented spaces on level 54, with one zone for the entire building to share and the second is an exclusive area for prestige apartment and penthouse purchasers. There’s also a large public park spanning just outside the development. Mr McCue said that the decision to focus on wellness and social connectivity goes beyond a marketing attraction, and came from a genuine interest in creating a high rise development that promoted wellness and social sustainability and not just another high rise with amenity “tacked on”. Referencing his own experience living in a high rise apartment, Mr McCue said it’s interesting that the shift from low rise architecture to high rise often caused displacement and a lost sense of belonging. He hopes that designing residential buildings that enrich human interaction and overall wellbeing will encourage people to consider apartment living as a long-term arrangement. “For first time apartment dwellers, moving from their family home into an apartment can be daunting so we have tried to create a mecca of wellness and entertainment that supports this transition and caters to their every need, including the need for a sense of community,” he said. 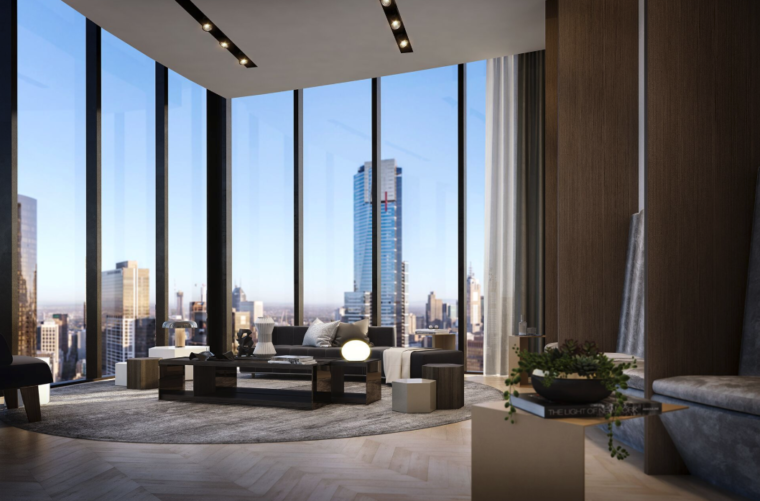 Construction has commenced at Melbourne Square and is expected to be completed by late 2020. Started reading this article thinking it should tap into areas of ‘biophilic’ (spell-check doesn’t like this word:) design and social/casual bump spaces, but seems to miss evidence in the imagery. Also strategic design based on ‘force’ for elitist activities to get residents mixing rather than by more natural overlap of daily routines eg. shared rooftop laundry and community garden of The Commons in Brunswick.